When you think about it, Celeb-land's really not that different from school. Desperate to know who got a big cross and who got a gold star? Can't wait to find out who's on the honour roll and who'll be in detention for the foreseeable future? She's been flawless all term, sorry season, and we expected nothing less from her on Hollywood's night of nights. In sequinned, ice blue, slashed to the navel Prada, Lupita didn't let us down. A* - excellent. Ladies of LA - watch and learn. 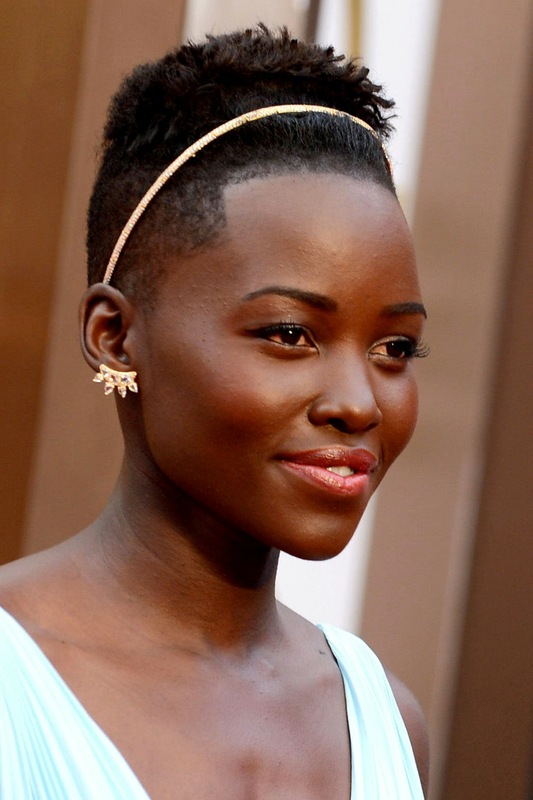 Coming out of nowhere, Kate was a very strong contender for Head Girl but was just pipped to the post by Lupita. Old Hollywood megawatt glam deserves a mega gold star - stunning. J-Law does a very good line in learning her lessons. Having previously earned A-grades for a scarlet Oscars' gown and back-to-front necklace wearing, she's combined the two to devastating effect. This peplum bad boy got a huge tick from the second we spied Jen tumbling backwards as she arrived on the red carpet. nb. Jen's next lesson should be mastering the trip-less carpet trot. A+ for simple elegance. Naomi is a total class act in this embellished white column dress. 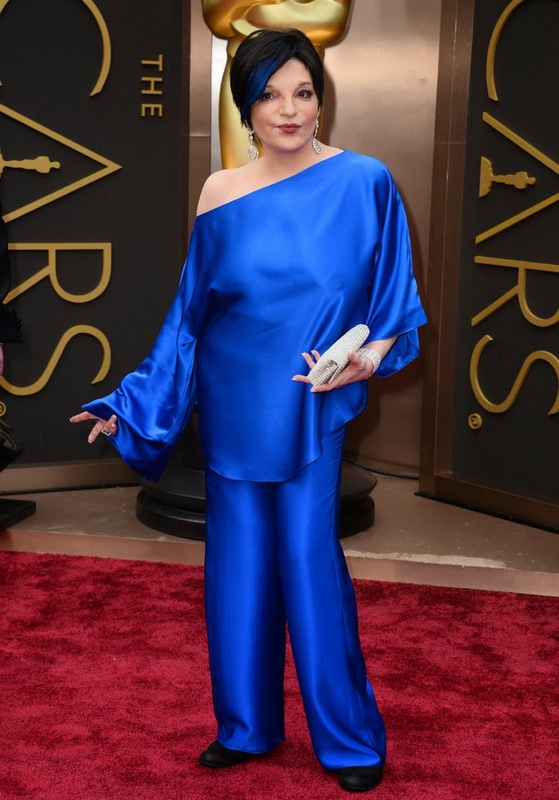 Beachy hair and pockets may not be textbook Oscars' dressing but it's actually these elements of the look that lift Chrissy to the dizzy heights of fashion fabulous. Proof that thinking outside the box can lead to very good things indeed. We can only assume that Karen O's been hiding in the Library genning up on her glam - the jaw dropper of the evening; we would never have called this one. Particular mention has to go to the Rau Wolf clutch - pure fashion genius. We had such high hopes for this bunch but on the day, they really let us down. MOST disappointing. Julias' 2001 vintage Valentino was the sort of stuff legends are made of. This year's Givenchy was the stuff Home Ec projects gone wrong are made of. You've not only let yourself down Roberts, you've let the WHOLE school down. This promising new starlet had us in raptures at the start of the season. A few short weeks later and she's gone for a dress that somehow manages to make her teeny frame look stocky. Further points deducted for the uber-goth hair and make-up. Vastly improved when viewed from the back though - there's definitely hope for her yet. Bad girl gone matronly nun. We preferred you in slashed to the thigh, shoulder baring midnight velvet Angie - this look just earns you an F for frump. This is almost SO bad that it's good... almost... The visible nips though really push this into eternal detention territory. One hundred lines of: "I must not match my hair to my pyjamas". It's the Oscars and Emma rocks up in a sparkly knitted tank top and haven't-brushed-it-all-week hair. She somehow still looks knock-out gorgeous in a timelessly futuristic sort of way and we're dying over that Anya Hindmarch clutch. Girl crush alert. He's a foot shorter than his wife and appears to be wearing his Junior school uniform from the waist down... Somehow still aces it though. Note to all other men at the School of Frock, this works ONLY because Pharrell is Pharrell. You have been warned. This year's red carpet craze? The ear cuff. And yup... that's the bell - school's out for another term.